Which Teams’ Positions Have Gone All-Star-Less? This year’s All-Star Game didn’t, in the end, descend into full Kansas City Royals madness, as was threatened by early voting returns. But the initial Royals-mania got me thinking: In years past, when the Royals were either flat-out bad or in Dayton Moore’s early stages of building up his process, the team would often just get its one rationed token All-Star, like Ken Harvey (2004), Joakim Soria (2008 and 2010), or Aaron Crow (2011). Now that the Royals own both last year’s American League pennant and this year’s best record in the AL, it makes all the sense in the world that the team suddenly would be sending six players to the All-Star game. So is quantity and recency of All-Stars a useful indicator of overall franchise success? Well, maybe not. Only two teams have sent All-Stars to the Midsummer Classic at every position (counting corner outfield, starting pitcher, and relief pitcher as one position apiece) since 2010: the New York Yankees…and the Milwaukee Brewers. It’s hardly a surprise to see the Yankees accomplish this feat, even if the last six seasons have been more of a valley than a peak for this team that always carries such high expectations. Moving in scorecard order from 1-9, the most recent Yankee from every position is: Masahiro Tanaka, Dellin Betances, Russell Martin, Mark Teixeira, Robinson Cano, Alex Rodriguez, Derek Jeter, Nick Swisher (hard to remember, but this did happen in 2010) and Brett Gardner. The Yankees have had plenty of other All-Stars in the last six years, too, like that one pretty good pitcher, Mariano Rivera. I don’t know what it signifies that the Brewers have accomplished the same feat despite winning over 85 games just once in the last five full seasons and currently standing as mighty unlikely candidates to reach that mark in 2015. Maybe it just means the Brewers are playing the role of the “stars and scrubs” team with more commitment than any other franchise. Even just 12 months later, it seems like some sort of riddle/joke/hoax that the Brewers started three of the eight positional players in the 2014 All-Star Game, a season in which they finished 82-80. Now, Milwaukee was 53-43 at the All-Star break before the wheels flew off their axles, but I wouldn’t blame future historians for thinking this was perhaps the genesis of suspected small-market vote-rigging. The most recent Brewer All-Stars, in scorecard order: Yovani Gallardo, Francisco Rodriguez, Jonathan Lucroy, Prince Fielder, Rickie Weeks, Aramis Ramirez (he was one of the starters just last year! ), Jean Segura, Ryan Braun and Carlos Gomez. So: lots of All-Stars, very few “perennial” All-Stars — one can add Corey Hart to the list as well. So if having All-Stars at all sorts of positions isn’t a reliable reflection of success, what does it mean if a team has no All-Stars at a given position? Will we find the most desolate corners of the major leagues if we search for the certain positions for certain teams that have gone All-Star-less for the longest? Given that two teams — one of them not bad, one of them below-average — have turned up All-Stars at every position since 2010, I figured my research would go back until 2000, at the very furthest, in order to find the longest droughts. Heh heh, nope; 2000 was just the beginning of my fantastic trip back through time. Here we go, ordered from shortest drought to longest drought. (In)famously, the Twins’ pitching staff strikes out way fewer batters than any other staff in baseball, so it really makes a lot of sense to see them here: pitchers who strike out a lot of batters tend to be the sorts of exciting stars that people want to see in the All-Star game, and the Twins have definitely not had that guy around since Santana. Things have been pretty darn inconsistent in Minnesota as well: with 137 starts, Blackburn has started more than any Twins pitcher but ranks just 87th in the majors in total starts over the course of the Twins’ All-Star drought. Also over the drought: Blackburn is just sixth on the Twins’ WAR leader board while leading the team in starts, a stat that tells quite a little story by itself. The Marlins’ bullpen has been full of droughts. Journeyman Ryan Webb (seventh in appearances over time span) has become a favorite of Baseball Prospectus’ Effectively Wild podcast because he has finished more games than any other pitcher in baseball without getting a single save opportunity. Matt Lindstrom (fifth in appearances) also appeared on my preseason list of longest individual playoff droughts and was released from Triple-A by the White Sox last month. Pinto (third in appearances) never appeared for another team and ended his career below replacement level. RF WAR Leaders Since: Markakis / Gibbons / Gary Matthews Jr. This is really close to not being a drought, but Nelson Cruz was (wisely) played as a DH most of the time during his one-season All-Star stop in Baltimore last year. 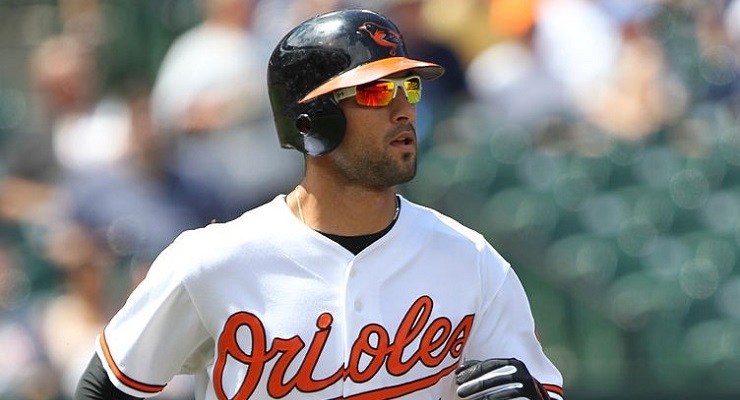 Funny enough, here is another oft-discussed drought from Effectively Wild come into play: On the podcast, Markakis often is discussed as the most successful player of all time — who has never received an MVP vote or, yup, an All-Star appearance. So we can chalk up the Orioles’ lack of right-field All-Stars to a historical quirk. Left field definitely has been much shakier, as no Oriole has held down the position for more than a couple seasons at a time in the last 15 years — and utility dude Pearce is far from a left-field mainstay. For years now, the Orioles have been cycling through post/no-prime options like Nate McLouth, Delmon Young and Felix Pie. Five different Orioles have started at least 10 games at the position in the first half of this season. Now we take a huge leap back into history. All of the droughts from here on out are indeed at least a quarter-century long. Seeing as Mike Scioscia’s generation-long tenure as Angels manager has lasted for the majority of this drought, at first I thought this was deliciously ironic. However, even through Scioscia himself made two All-Star teams (including as Parrish’s opponent in 1990), it kind of makes perfect sense that he would never manage an All-Star, seeing as he clearly loves to have a catcher to mold in his own hard-nosed gamer image. Not only is Mathis up there in the games played list, but Jose Molina is right behind him, and Hank Conger also is not far behind. All are players who are really good at playing the catcher position but not sluggers who will ever make the All-Star team. Even Iannetta, long thought of as an offense-first catcher, has transformed himself into more of a defensive and framing ace. A special expansion shout-out here — the first of three shout-outs, each to different teams — to the Colorado Rockies, who haven’t had an All-Star catcher since their 1993 inception. And, yup, you guessed it: Iannetta is the Rockies’ leader in both games played and total value. 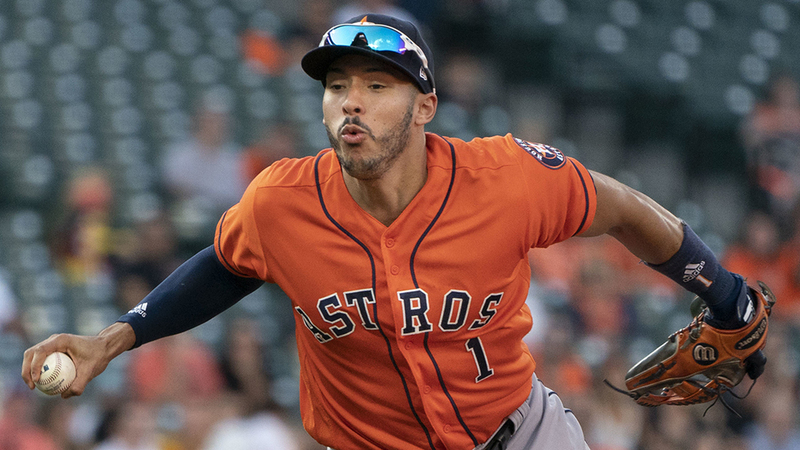 Aside from Wilin Rosario, recently moved off the position, the Rockies also have relied on defense-first types, like Joe Girardi, Yorvit Torrealba and Jeff Reed. The Rockies are second-to-last in catcher value since 1993, ahead of only the Expos/Nationals and the Tampa Bay Rays, who came along five years after the Rockies. I think I can identify the culprit for this particular drought. For decades now, the Blue Jays have tended to employ shortstops with below-average offense but above-average defense. From Alfredo Griffin to Munenori Kawasaki, from Tomas Perez to Yunel Escobar, the Blue Jays long have employed slick fielders with light bats — a trend they have only just reversed with their trades for Jose Reyes, then Troy Tulowitzki. I think this is a spot-on example of why All-Star quantity is far from the best example of evaluating team success. Skimpy offense and robust defense hardly will excite the voters, but clearly they generate excellent value. Another shout-out to the Arizona Diamondbacks, who have never had an All-Star shortstop since their inception in 1998. Led in both appearances and WAR by Stephen Drew, Diamondbacks shortstops have excelled at neither offense nor defense. Although Gwynn had 10 more All-Star seasons in him after 1989, this year was the last in his career in which he played more center field than right field, establishing a new drought along with his shift in position. Good ol’ Will Venable is another member of the individual postseason drought team, and who better than Venable across all of baseball to stand in as a symbol of reliable veteran competence a mile away from the All-Star game? There have been All-Stars in center field for the Padres, though: Jason Bay and Shane Victorino both played a handful of games as rookies before getting traded away. Oopsie. A final expansion shout-out: Since their inception in 1993, the Marlins haven’t had an All-Star center fielder, either. Their leader in both games played and value is Juan Pierre, who received MVP votes in back-to-back years — winning a World Series championship at the same time — and still never went to the All-Star Game. Considering Pierre played only four seasons with the team, though (and only three in center field), the Marlins are 26th in center field WAR since their inception — trailing, among others, the Arizona Diamondbacks, over whom the Marlins had a five-year jump-start. The existence of this drought is absolutely mystifying. In 2004, as a 25-year-old, Beltre slashed .334/.388/.629, hit a league-leading 48 homers, and provided league-leading defensive value. That’s 9.7 WAR on the year, and a second-place finish in MVP voting. Chosen instead for the All-Star Game: Scott Rolen (who in fairness had a 9-WAR season of his own in the works) and Mike Lowell, who slashed .293/.365/.505 with median defensive value. I’m sure the 2004 hot takes were absolutely #scorchin’. Also, Beltre got no love for producing 7.5 WAR through his age-21 season (2000)? That’s like not giving Manny Machado any recognition or hardware up through this point. Once you remove Beltre from the equation it becomes more understandable that no Dodgers third basemen have been selected since the days of “the best hitter God has made in a long time.” Currently in fourth and fifth place on the team’s WAR leader board going all the way back to 1984: Juan Uribe and Justin Turner, neither of whom has been around since 1984 (even though it sort of feels like Uribe has). It kind of makes sense that the Pirates haven’t had any All-Stars at first base during Neal Huntington’s tenure. As Huntington has built the Pirates into contenders, the team has kept one of the smallest payrolls in baseball, and slugging first basemen never have come cheap. Thus, the team has gone with options like Jones, Lyle Overbay, Adam LaRoche and Gaby Sanchez. The Bucs were lacking even before the Huntington era, however. Young was below replacement level in five of his 11 seasons with the team — although in 1997 he received MVP votes but not an All-Star appearance despite missing most of the second half. Bream never hit for power — a career-high 16 home runs in a season — which couldn’t have helped him at the ballot box. How did this happen? How. Did. This. Happen? For the 38th straight season — a streak well longer than the lives of just about every current player in major league baseball — the All-Star Game has come, and the Oakland A’s have not sent a second baseman to it. The only explanation I can think of is that the A’s found not just one but three Venable/Iannetta-esque, stable-but-not-spectacular veterans in Ellis, Phillips and Gallego, who are responsible for about half of the starts over this span. Also add in about 10 more similarly solid seasons from Marco Scutaro, Lance Blankenship and Eric Sogard. And, for a while there, the A’s also turned to one-time stars who were creeping into their 40s. Willie Randolph, Joe Morgan and Davey Lopes all had quick tenures in Oakland. Oakland’s best chance in a while to break the drought was probably this season, with Ben Zobrist coming to town, but the game’s best utility man was both unhealthy and unproductive (compared to his usual standards) this year, and now he’s gone. So there it is. It’s far, far from the game’s most unproductive position, but Oakland A’s second basemen have gone All-Star-less way longer than any other position in the game. Miles Wray contributes sports commentary to McSweeney's Internet Tendency, Ploughshares, The Classical and Hardwood Paroxysm. Follow him on Twitter @mileswray or email him here. He wasn’t listing 2010 Yankees All Stars, he was listing the Yankees’ most recent all stars at each positions. Tanaka was the Yanks’ last SP in the ASG (2014), Betances was the Yanks’ last RP in the ASG (2015). I’m a Padre fan and am relieved that this list is not utterly littered with Padres. However, I could have sworn Steve Finley was an All Star with the Padres, and indeed he was in 1997, year in which his only defensive position was centerfield. Good article, I was thinking maybe Manny Trillo (pre-NL days) rather than Garner. @87 Cards: If you visualize today’s DP’s of glove-hand flips and SS barehand catching and throwing to first as reasons to vote someone a GG, I do remember one Griffin play for Oakland where a ball must have taken a wicked hop off a rock to his right that he barehanded and threw out the runner at first. No idea if that was only a local broadcast but that could have been the defining moment for some voters. One of my favorite droughts ended last year when the A’s sent four position players to the All-Star Game. However, prior to that, Oakland had gone ten-straight seasons (2004-13) without sending a non-pitcher representative (seven years with one rep, three with two, all of whom were hurlers). The last Athletic position player to make the team prior to the aforementioned quartet? Ramon Hernandez. Who knew? Melvin Mora was an all-star in 2003, playing mostly LF for the Orioles. So Surhoff isn’t quite correct, but I don’t know if that changes the actual outcome. I was pretty surprised that neither the Indians nor the Cubs were represented there.